Long before your four-legged pal learned to fetch tennis balls or watch football from the couch, his ancestors were wild animals in competition with our own. So what changed? How did dogs go from being our rivals to our best friends? Among several theories is man and wolf began the bonding process on the hunting trail some 40,000 years ago while competing with one another for game. When the wolves had a bad hunt, sometimes their two-legged competition would share their spoils. According to Smithsonian Magazine®, this behavior perpetuated the theory of “Survival of the Friendliest” suggesting that wolves largely domesticated themselves among hunter-gatherer people. Whether this theory is true or not, one thing is for certain, there’s a deep empathy and strong connection between humans and dogs that makes us comprehensible to each other, even though we don’t speak the same language. America’s top dog breeds are represented here in sculpted sterling silver pendants. 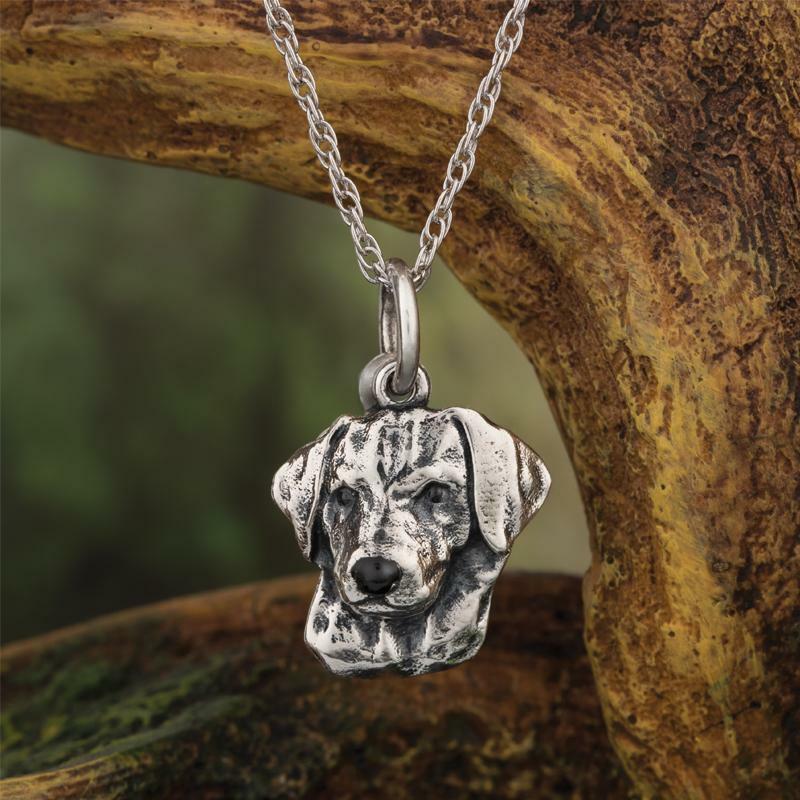 A wonderful way to celebrate the loyalty, companionship and unconditional love of mankind’s best friend.